Fixed errors in the CArrayChar class of the standard library. Fixed the QuickSort, QuickSearch, SearchGreat and SearchLess methods. 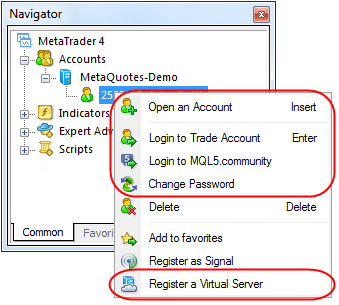 MetaTrader 4 Android build 758 Update for Android 4.0 and later. Support for the older Android versions application is terminated, but it is still available for download. 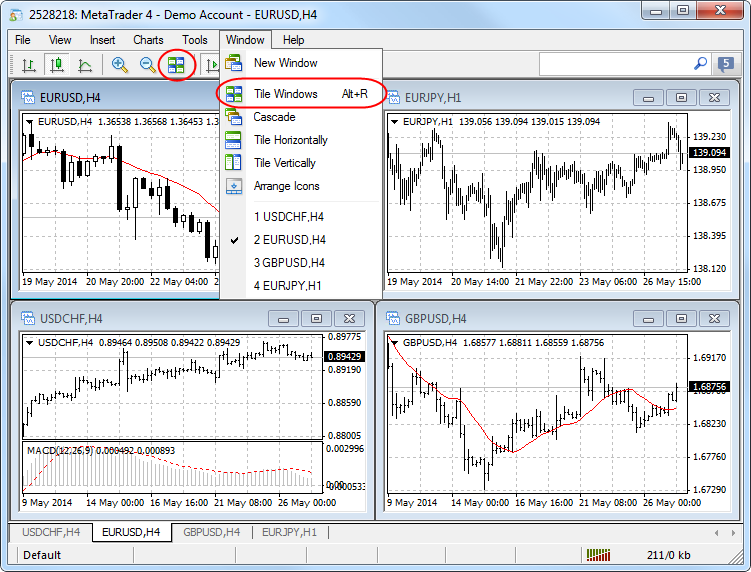 Fixed generation of a file name when saving chart templates or a list of symbols selected in Market Watch. 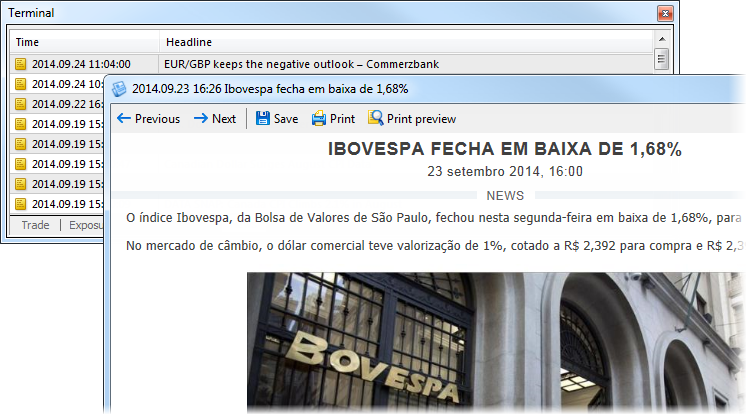 Fixed saving Rich Content news having quotation marks in their headers. Added reading CHART_BRING_TO_TOP chart property (a chart is displayed on top of other charts) in ChartGetInteger function. 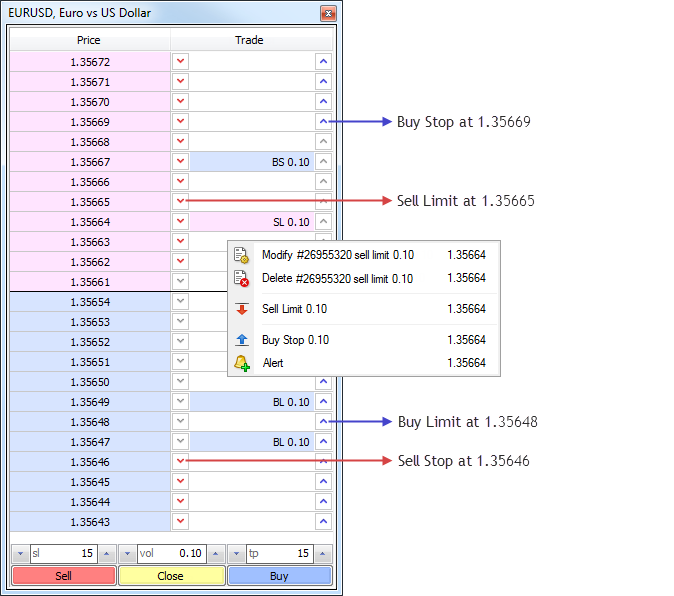 Prohibited adding an MQL4 program to the chart, on which another MQL4 program is being debugged or profiled at the moment. 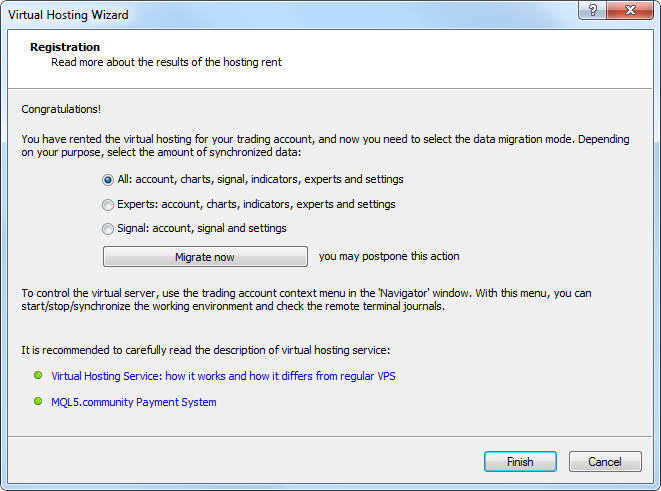 To perform synchronization, execute "Synchronize Environment" command and select migration type. Work with news has been completely redesigned. Now the news support rich design and multimedia content. Earlier, the terminal only received the news released while it was connected to the server. Now, the terminal connects to the server and downloads previously published news from it. 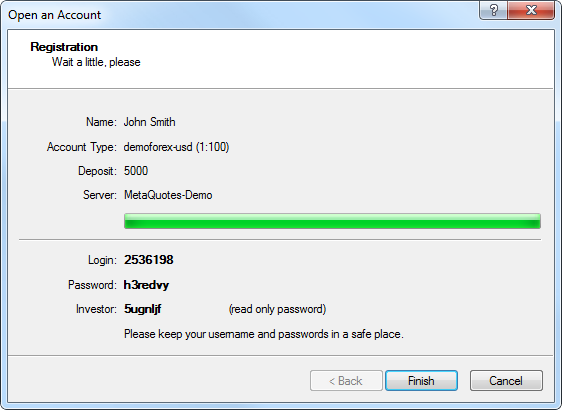 Before this update, all received news were stored in a single database and were all displayed when a user connected to any account. 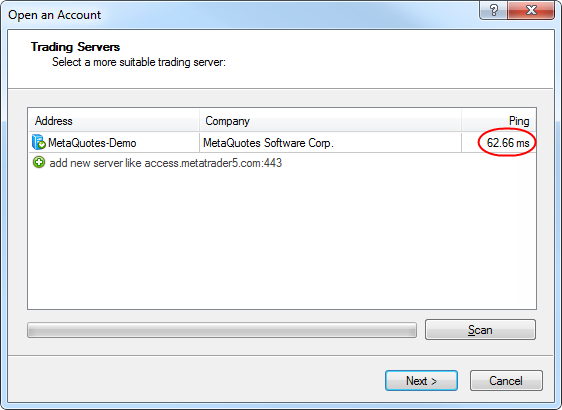 Now news from each trading server are stored separately. Accordingly, only the news from a particular server are displayed when connected to a particular account. This provides a better structure of news items and a more convenient work with them. Fixed display of the "Event" object properties dialog, and its display in the list of objects. 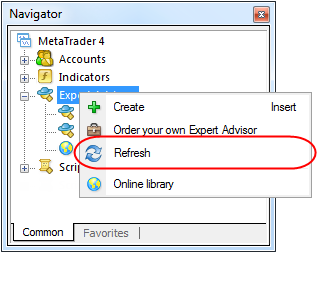 Fixed occasional absence of a newly added trade account in the Navigator window. Fixed errors in displaying and updating of the "Exposure" window. Fixed compatibility with Symantec Endpoint Protection. Changed the return type of functions OrderOpenTime, OrderCloseTime, OrderExpiration. Now datetime is returned instead of int. Added use of a default period (current chart period) in the SeriesInfoInteger function in case the period parameter is not specified. Fixed an error in changing the object properties from an Expert Advisor when dragging the object on a chart. Fixed checking of availability of a private constructor during compilation. Fixed error initializing class members in the constructor initialization list when using a template for the class constructor. Allowed specification of Stop Loss and Take Profit when opening a position for a Market Execution type symbol. 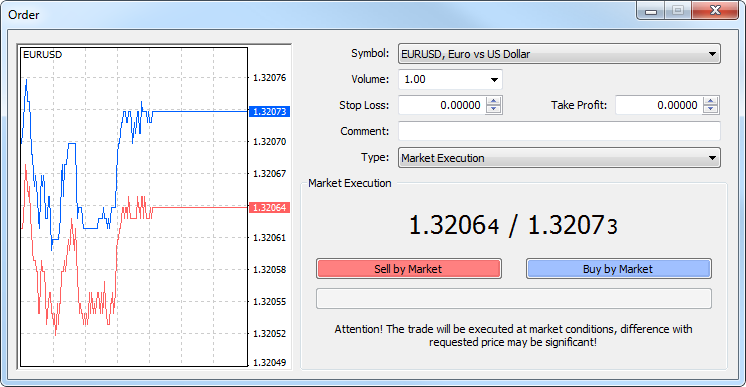 In earlier versions, the SL/TP levels could be set only from MQL4 applications in this execution mode. Added a separate window to view the logs of the terminal, Expert Advisors and Strategy Tester. It's a more convenient way to view logs and filter them by keyword and date if needed. 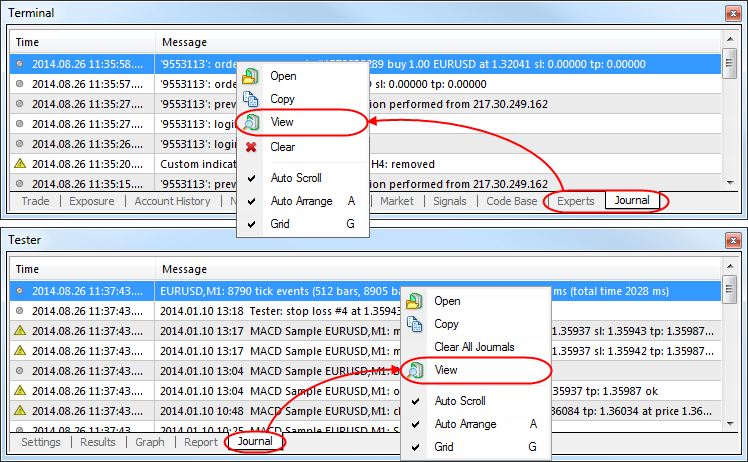 To view logs, open the context menu of the Journal tab and run the Browse command. The upper part of the window contains the search bar to search in the log (only precise case sensitive search is performed) and the filter of entries (Full, Only errors). Time range for search can also be set. After specifying all the necessary search conditions, press the "Request" button. Search results for MQL5.community now contain "Blogs". 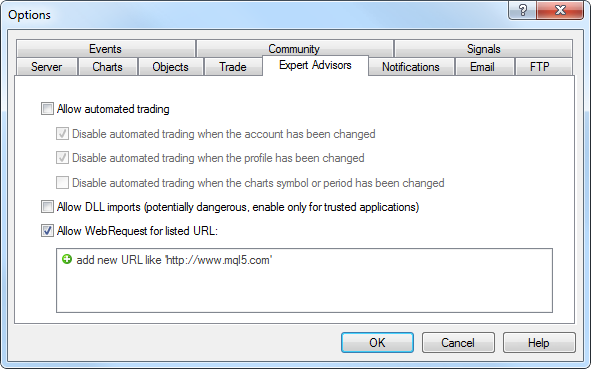 In this section, traders share interesting and useful information with the community audience. Here you will find news from around the world on a variety of topics - rumors about companies, reports on countries and industries, market analysis, the latest trading developments, and much more. Share your ideas and trading achievements in the Blogs! New "Exposure" tab added in the "Terminal" window to show the summary information about the state of trader's assets for all open positions. Assets - the name of a currency or financial instrument. 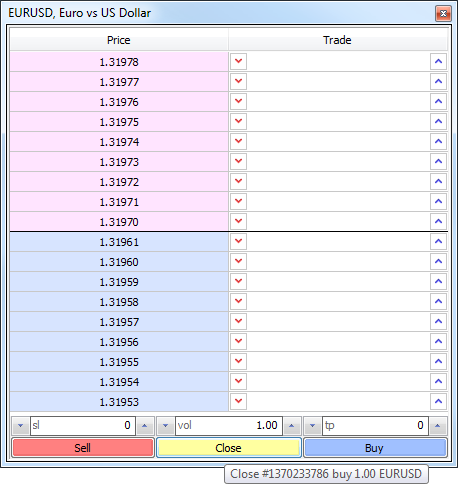 Volume - client's position volume (in units) for the currency or financial instrument including leverage. Rate - currency or instrument rate in relation to the deposit currency. Deposit currency - this column shows the amount of deposit currency (excluding leverage) actually expended to buy/sell the currency or trading instrument. Graph - a graphical representation of the client's position in the deposit currency (blue bars show long positions, red ones denote short ones). 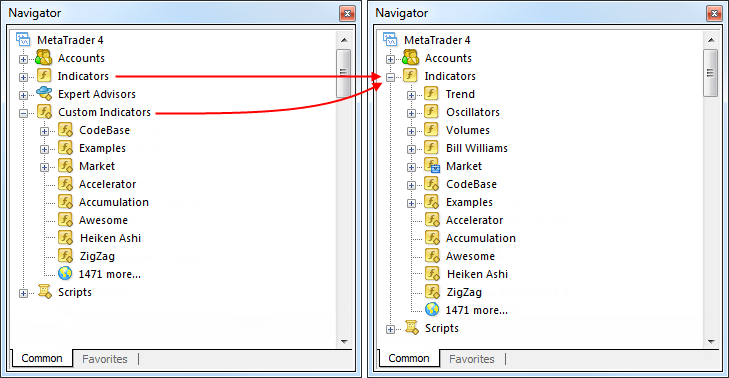 Fixed saving of the MQL4 programs tree state in the "Navigator" window when closing the terminal. 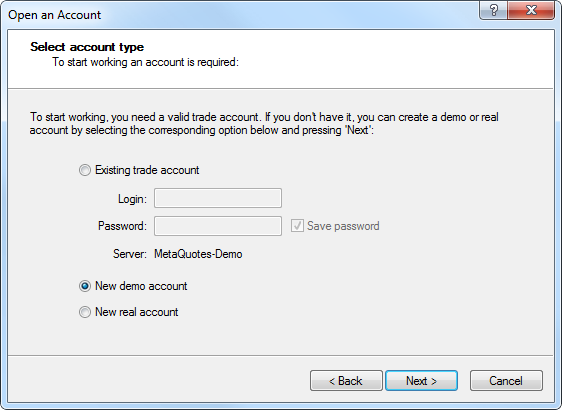 In some cases, the categories of MQL4 programs and accounts opened during operation, appeared to be closed after the terminal restart. 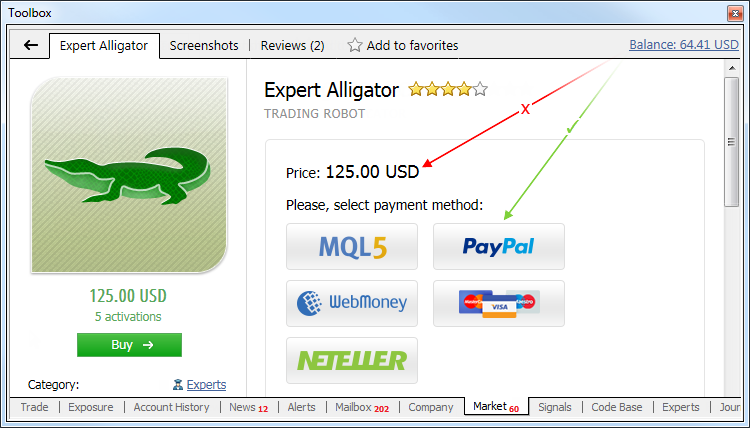 In the Depth of Market added a tooltip of the position close button; it contains a description of the position being closed. Fixed modification of SL/TP values using the mouse wheel in the position modification dialog. Fixed deletion of a pending order that is dragged in the market depth across the Bid/Ask price border to a level within the range, where pending orders are forbidden. In earlier version such a pending order was deleted. Now such an order stays unmodified. An appropriate error message appears in the journal. Fixed an error that in some cases led to a false message "trade context is busy" in the terminal log. 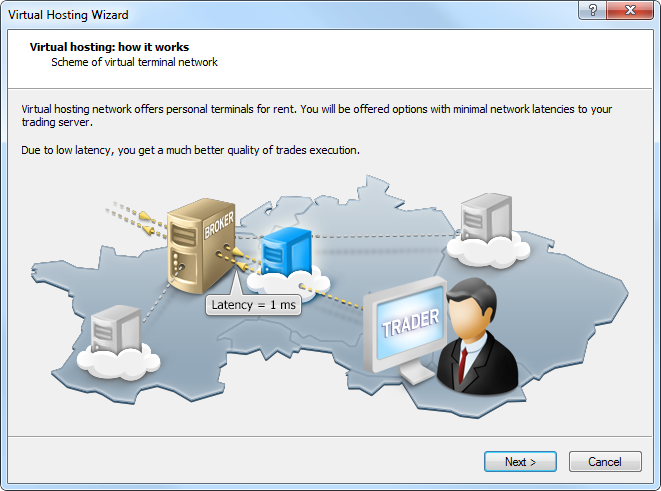 During the connection, the names of the trade server and the access point the terminal has connected to are displayed in the terminal's journal. Redesigned News tab and news display dialog. The works on improving the news delivery system and rich content support are underway. Fixed and improved scanning of access points when searching for the best connection. Added journal deletion commands to Experts and Journal tabs of Terminal window and Journal tab of the strategy tester. 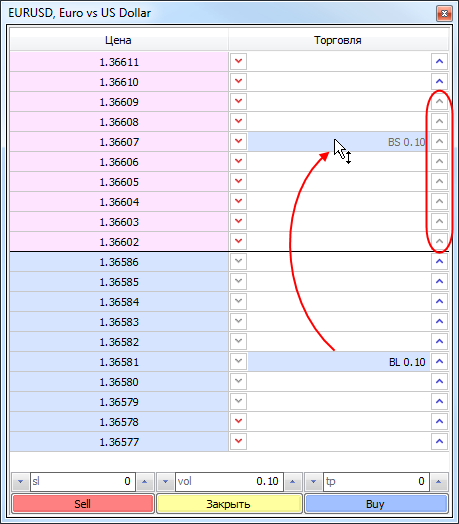 Fixed receiving of the trading instrument property "Currency Profit" (SYMBOL_CURRENCY_PROFIT) using the SymbolInfoString function. Earlier, instead of the profit currency the base currency was returned. Fixed errors in the IndicatorBuffers functions, which could appear during allocation of more than 16 indicator buffers. 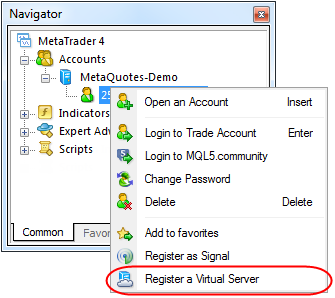 Added a new error code in trade operation execution - ERR_TRADE_EXPERT_DISABLED_BY_SERVER. 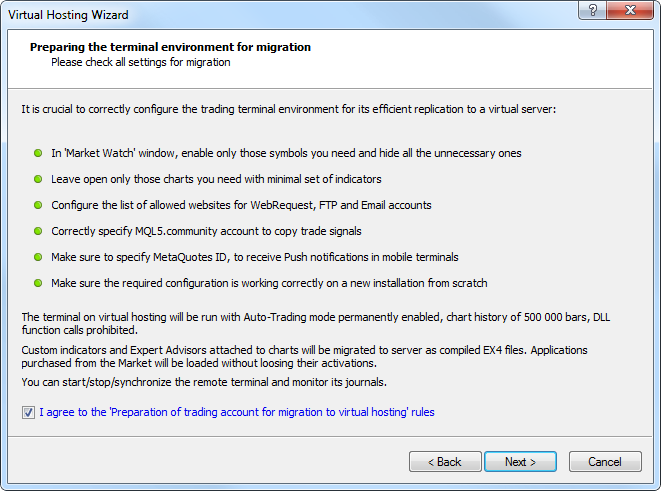 It means that trading using Expert Advisors is disabled in the trade server settings. 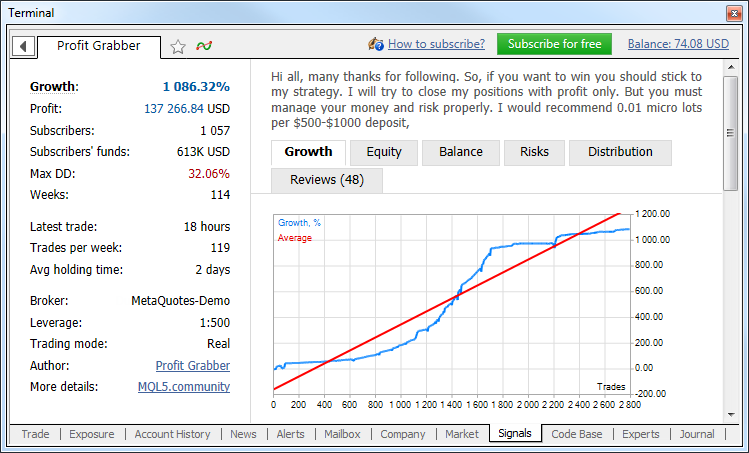 Significantly accelerated the operation of Copy* functions for working with price history. REASON_CLOSE value instead of REASON_CHARTCLOSE one is now passed to Expert Advisors, scripts and indicators as a closure reason when the terminal is closed. Added transformation of macro parameters into a string and concatenation of macro parameters. Below you can find an example where the concatenation of the macros allows deleting class instances automatically. The showcase of signals has been completely redesigned. 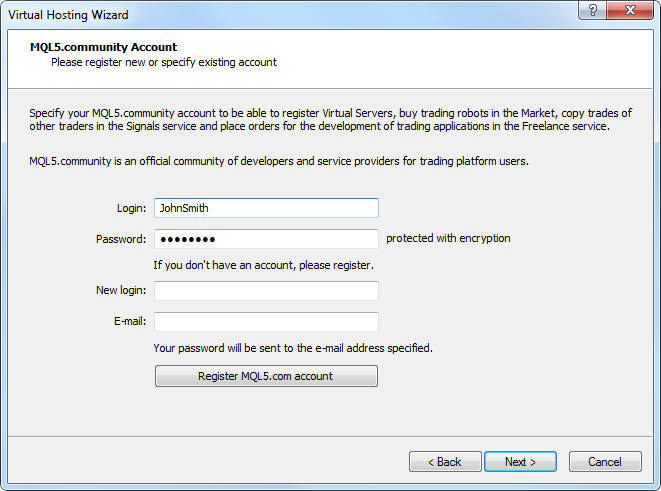 New features added, design and usability of the Signals service improved. 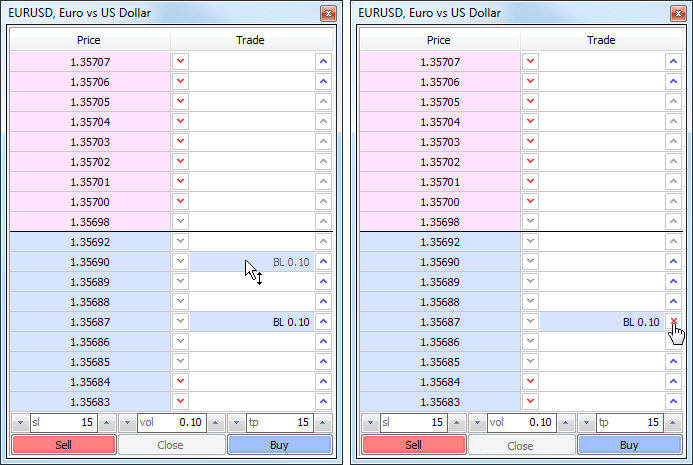 The list of signals now contains growth charts similar to those displayed on the MQL5.community site. 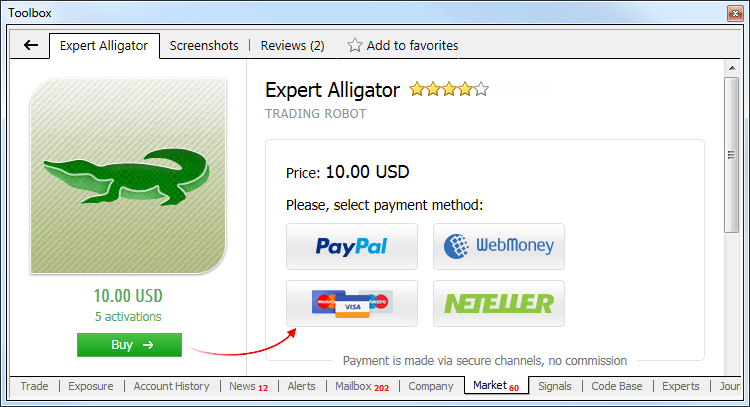 A green icon in the lower left corner of the chart indicates that the signal is based on a real account. Risks - information about the best and worst trade operations and series of operations, and information on drawdowns. 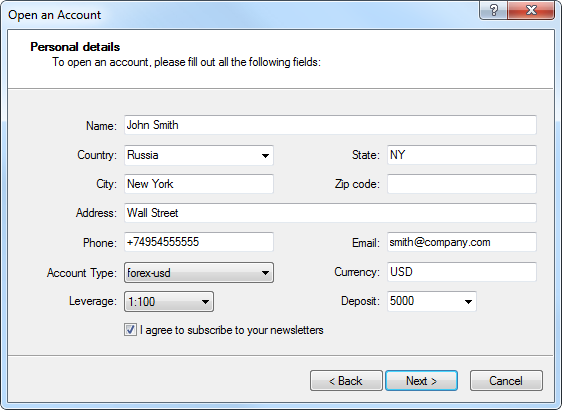 Keep in mind that placing orders manually affects the amount of available margin on the trading account. 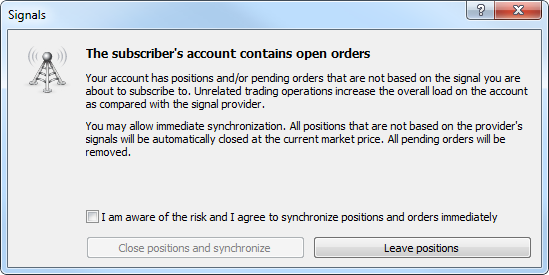 Opening positions manually increases the overall load on the account as compared with the signal provider. Improved ping measurement accuracy. Ping is now measured three times, accurate to one hundredth of a millisecond. 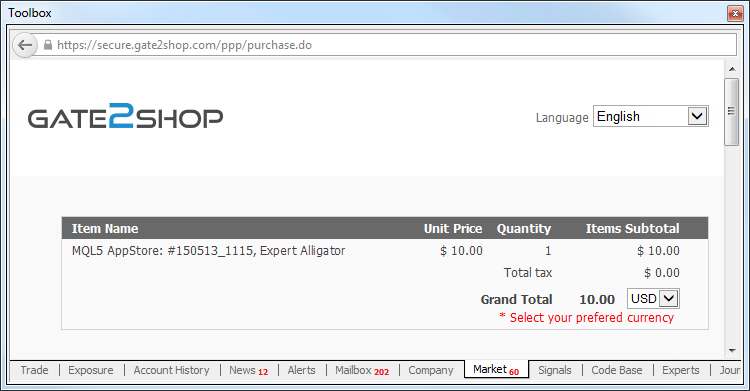 Added display of Expert Advisor initialization errors in the testing journal during optimization. 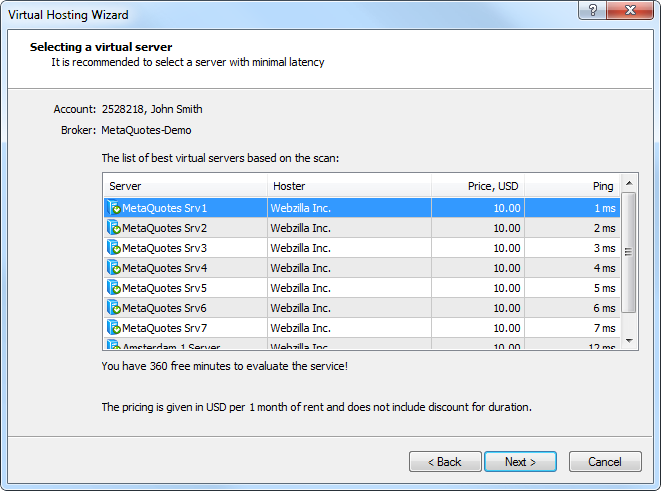 MetaEditor: Fixed text replacement when the list of MetaAssist tips is collapsed.